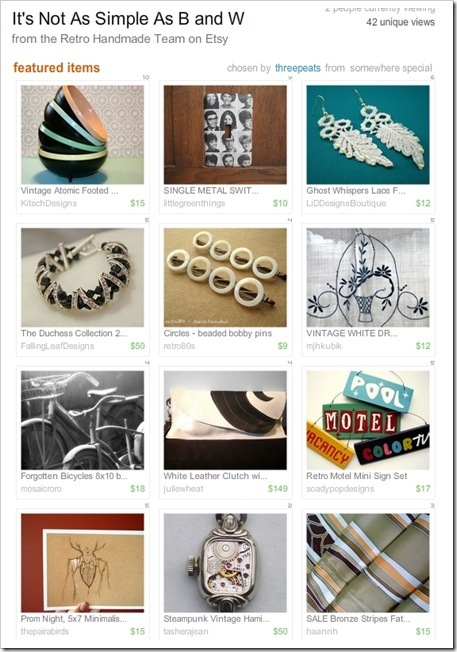 Cool Retro Handmade Treasury ~ Check it out! 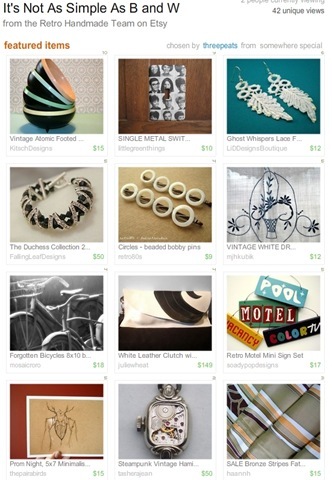 Suzanne from ThreePeats snagged a cool Etsy Treasury featuring items from the Retro Handmade Team members. My groovy Therm-O-Bowls were featured. Yeah!- Thanks Suzanne! Come check it out and leave a comment! Love the circle bobby pins!